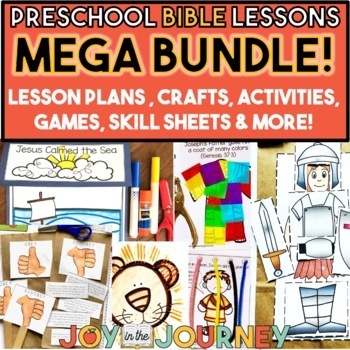 This resource is a MEGA BUNDLE - it includes 22 resources with over 250 pages of print-and-go lesson plans and activities! 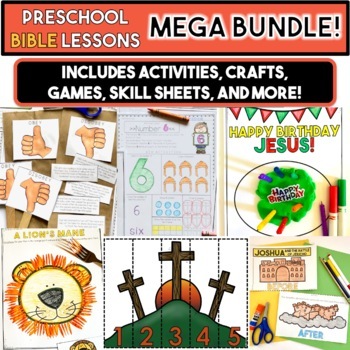 This MEGA resource is a series of Preschool Bible Lessons - each packet is fun, easy to understand, and engaging for little minds! However each lesson can be done independently of the others. 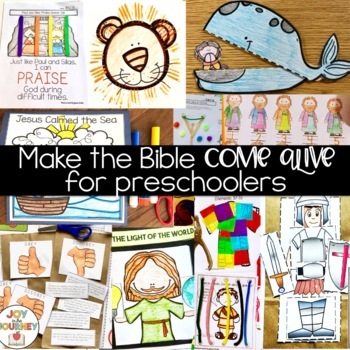 Each resource includes print-and-go lesson plans with stories, activities, crafts, and more - perfect for the busy teacher, Sunday School leader, or homeschooling parent. *Note: each packet is sold separately in my TPT store. Buy this bundle to save 30% off the list value of the products combined!